Most ladies often experiment with the use of domestic masks with natural ingredients to make their skin better. ccc-ingredients.com will give you a recipe for a beautiful mask with multiple effects on the skin. It improves the complexion of the skin, gently whitens it and has a tremendous antioxidant properties and prevents the reaction of free radicals. It is very easy to prepare and the ingredients can easily be found. It is important to know that this mask is best to do at night and avoid direct exposure to the sun after application, since some of the ingredients are photo labile. In a small blender put all the ingredients together and start blending them until they form a nice uniform mixture. With the help of a brush apply the mask to a nice cleansed face and leave on for about 10 minutes. It is very difficult to make a small proportion that will be enough only for one person, so if you make more than you need share with a friend or someone else. Or the rest of the mixture can be used as a hair mask if you add a few drops of olive oil in it. Raspberries are a great concentration of vitamin C and A which are essential for having a beautiful, healthy skin. This combination reduces inflammation and irritation of the skin and has anti - age effect thanks to a compound in which raspberries themselves in contact with the skin stimulate the production of collagen and elastin. Apple is also rich in vitamin C, and has a similar effect as raspberries. They have a great antioxidant effect and enhance collagen production. Besides that, apple is great if you have oily skin with acne. Honey softens and nourishes the skin and has a good whitening effect. Yogurt nourishes the skin and is a great ingredient in establishing a normal pH value. It cleanses the skin and is excellent for people who are fighting with acne. Zinc which is quite common in yogurt reduces pores on the face and cleanses the skin. Orange juice is rich in vitamin C and has great antioxidant effect on the skin. Gently whitens it by preventing the impact of free radicals, improves tone and complexion of the skin. What else do you need? This is more than what we all need to keep our skin healthy and good looking. 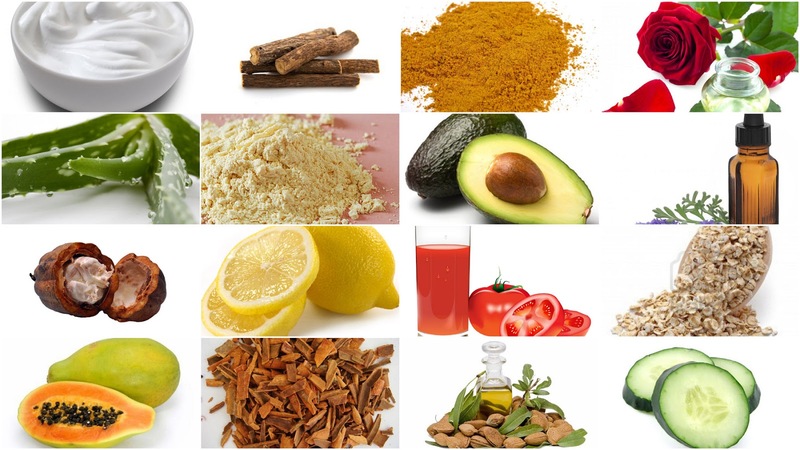 Natural ingredients are always a great option if you want to look young forever. Do this more often at least 2 times in a week and you will be amazed by the wonderful results. It works like magic.